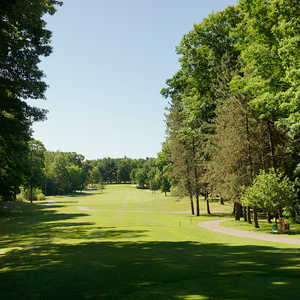 The 9-hole Shepherd's Hollow 1 Golf Course in Clarkston, MI is a public golf course that opened in 2000. Shepherd's Hollow 1 Golf Course measures 3585 yards from the longest tees. The course features 5 sets of tees for different skill levels. Greens and fairways are bent grass. The 9-hole Shepherd's Hollow 3 Golf Course in Clarkston, MI is a public golf course that opened in 2001. Shepherd's Hollow 3 Golf Course measures 3584 yards from the longest tees. The course features 5 sets of tees for different skill levels. Greens and fairways are bent grass. The 18-hole Hawk/Eagle at Pine Knob Golf Club in Clarkston, MI is a public golf course that opened in 1999. 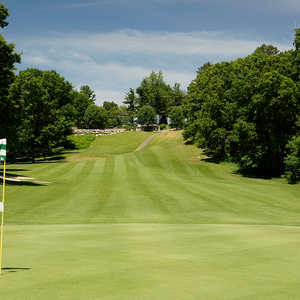 Hawk/Eagle at Pine Knob Golf Club measures 6457 yards from the longest tees and has a slope rating of 129 and a 70. 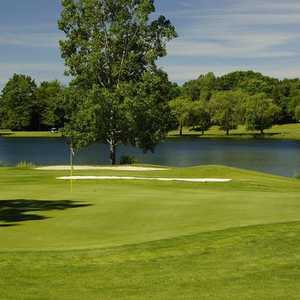 The 18-hole Eagle/Falcon at Pine Knob Golf Club in Clarkston, MI is a public golf course. Eagle/Falcon at Pine Knob Golf Club measures 6675 yards from the longest tees and has a slope rating of 134 and a 71.9 USGA rating. The course features 3 sets of tees for different skill levels. The 18-hole Oakhurst Golf & Country Club in Clarkston, MI is a private golf course that opened in 1998. Designed by Arthur Hills, Oakhurst Golf & Country Club measures 7054 yards from the longest tees and has a slope rating of 145 and a 74. The 18-hole The Fountains Golf Club in Clarkston, MI is a public golf course that opened in 1968. The Fountains Golf Club measures 6164 yards from the longest tees. The course features 3 sets of tees for different skill levels.